Track your client's Google My Business Insights and Reply to Reviews from the Reputation Management Platform. Once you integrate Google My Business, it's now easy for you to track all the insights for the business right from the platform. Simply go to Listings Management and then click Insights. All data is pulled directly from Google My Business in a 30-day time span. 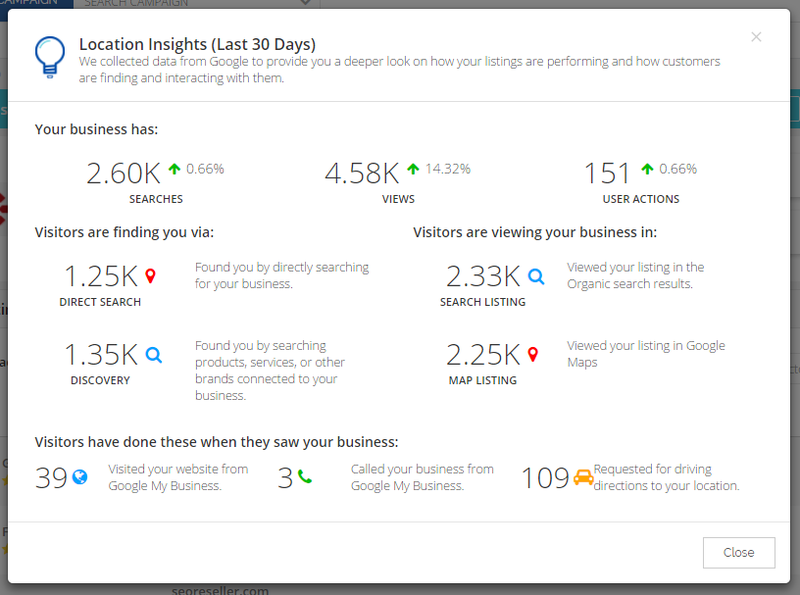 You can now also reply to Google My Business reviews right form the Reviews dashboard. Click "Reply to Reviews" and it will open a dialog box for you to do so. Note that you would need a verified Google My Business listing before you can integrate and access Insights.